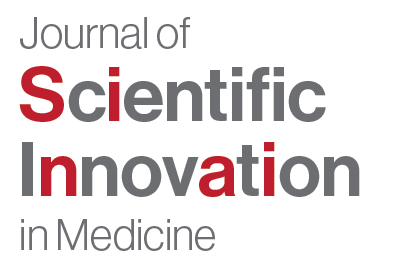 The Journal of Scientific Innovation in Medicine is an Open Access, international, peer reviewed journal in the area of transformative scientific developments that provide new concepts and paradigms in treatment of human disease. 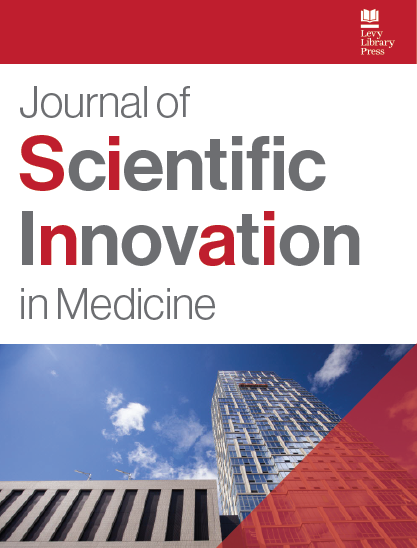 The mission of this journal is to advance an understanding of how to apply new technology, scientific discovery and innovative solutions in order to expand the frontiers of medicine. The journal welcomes manuscripts that present original research pertaining to therapeutic discovery from both clinicians and scientists as they discover new ways to treat diseases and illnesses. The journal also welcomes submissions of original research related to the impact of scientific discovery on the health care system; including costs, value and applicability. In addition, the journal solicits original papers exploring scholarly attitudes towards clinical innovation, exploring healthcare technology assessment and the effect of new technology on society. We also welcome medical student, resident and fellow papers and accepted conference abstracts. We encourage trainees to publish their work, e.g. originating from evidence-based research, which will be subject to constructive peer review process.